Home DIY	How to clean desktop motherboard? A very important part of the computer which some even refer to the heart of the computer is the motherboard. Be it a laptop or a desktop, the performance of a computer heavily relies on the motherboard. So it is important to clean desktop motherboard once in a while. 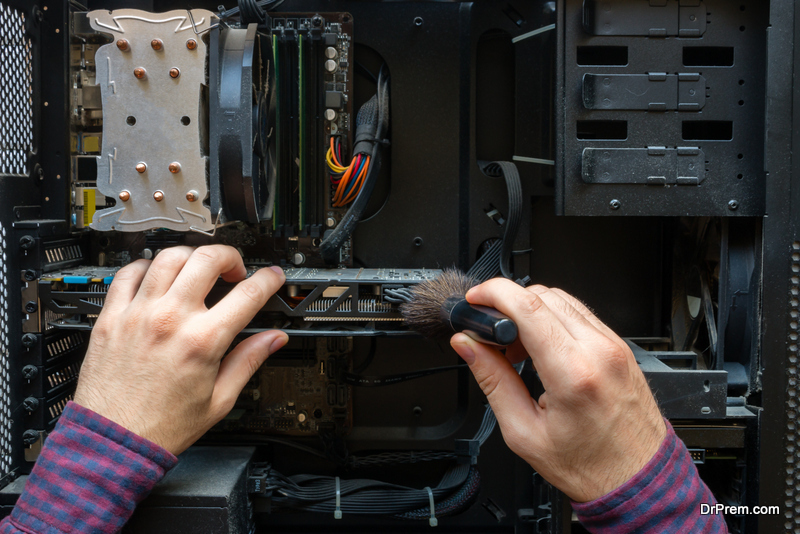 To deep clean computer hardware is basically to prolong its longevity and ensure proper functioning. Even the most minor damage to the motherboard can severely affect the performance of the computer. So dusting PC interior has to be seriously considered and it should be kept in a good working condition. 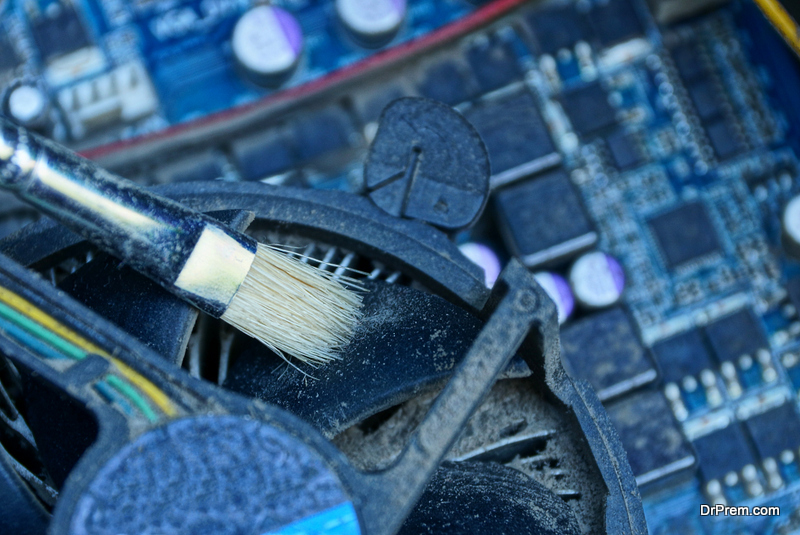 Get hold of the following items before you set out on your task to deep clean computer hardware. Dusting PC interior is not a task you cannot do yourself. Follow the steps that we narrate and the task will be accomplished. Power off the PC. Thereafter just to be sure unplug the entire power source from desktop PC. Safety of yourself and also the gadget should be top priority. This simple step eliminates any chances of electrocution or short circuit or a damaged PC while you attempt to clean desktop motherboard. Thereafter remove the case carefully. Disassemble the PC and take all your time in doing this. The last thing want is a lost screw or snapping a delicate part in the process. Take out the motherboard and place it on some flat and clean surface like a clean cloth. Use vacuum keeping it around one feet away in case you find heavy accumulation of dust all over. Care should be taken to ensure that the air is not strong enough to start rotating the fans very fast. This could potentially damage the appliance. After some basic cleaning with the compressed air use the vacuum attachment to get rid of the stubborn dust and particles. You can use the makeup brush or even conduct cleaning with toothbrush. This will provide the best results. Deep clean if you feel that the basic cleaning is not good enough. However you need to keep in mind that this form of dusting PC interior can only be applied when you have a dysfunctional motherboard. For this purpose take the isopropyl alcohol. Pour a one litre bottle in a small container and then gently place the motherboard in it. Once completely dipped, you can slowly shake the motherboard giving it a proper alcohol bath. Even the most stubborn dust particles will by now leave the motherboard and you will have it as good as new. You can also use a cotton swab soaked in alcohol to carefully clean it. We recommend alcohol as it greatly reduces the chances of electrical damage since it evaporates so quickly. Allow it to dry off completely. Alcohol will usually evaporate off very quickly but still this step has great importance. To clean desktop motherboard if it is not dried properly before being put back, there is a chance you are jeopardising your appliance. Assemble it back to as it was. Attach the case properly and tighten the screws you had initially taken off. Power the unit again and turn it on. Be gentle throughout the entire process, to clean a desktop motherboard is no child’s play and you must be patient and focussed the whole time. Make sure you do not damage the cables and do not pull any connectors from the motherboard. If you are not absolutely sure and confident about how to go about it do call for professional help. It is better to seek help than go about damaging the entire computer permanently. So do keep in mind that any warranty that you may have will become void once any liquid is used on the gadget. To improve the life of the various components of the computer. To avoid unnecessary data loss and repair costs. Dust easily settles and accumulates around this region. One of the major hindrances caused by dust is that is blocks sufficient airflow inside the cabinet. This in turn results in overheating of precious parts like the processor, RAM, Graphics Card etc. This overheating constantly reduces the life of the parts. 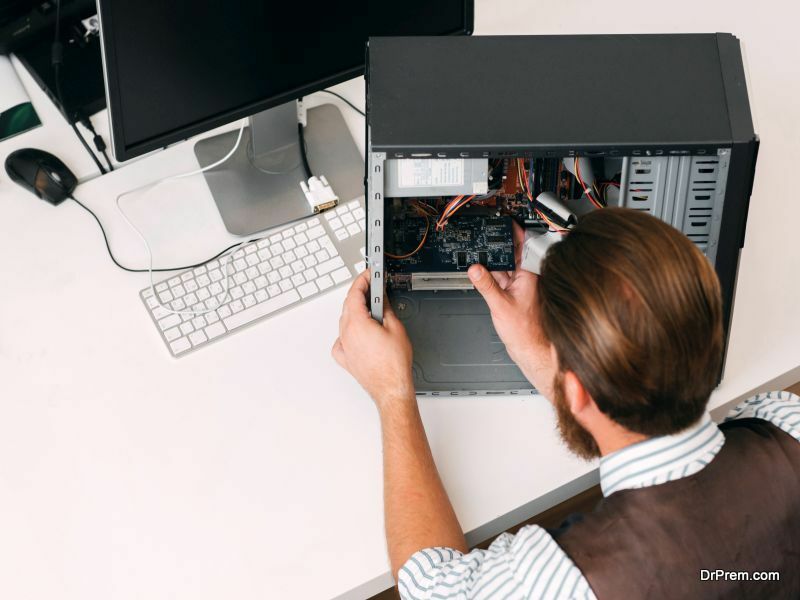 This can lead to a fast malfunctioning computer and your systems can crash way before you had expected. This can even result in the fans stopping which literally spells doom for the computer. After attaining so much info on the subject we hope you would clean desktop motherboard yourself and do it the right way. 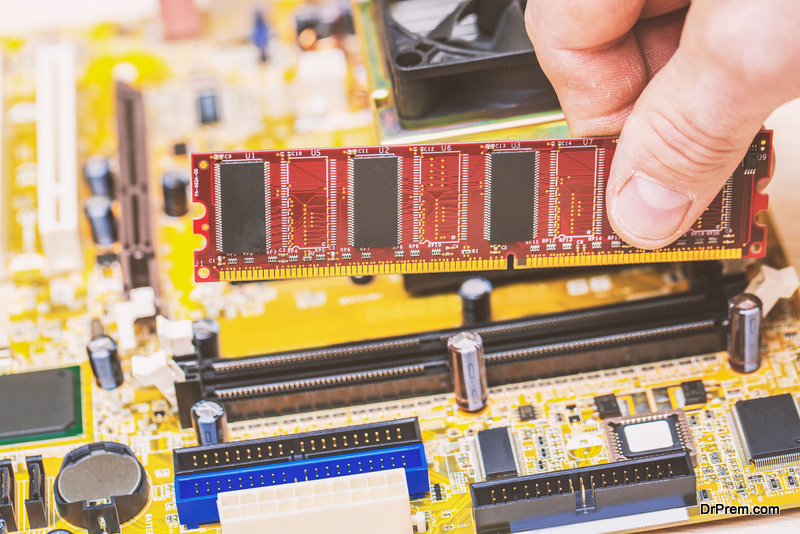 Surely we were able to pass on to you the importance of a healthy motherboard.